The 2017 Chiles Freshman-Sophomore Championships gave the young talent in and around Tallahassee a chance to run against their peers. As Blaine Thomas tells us age is just a number. The fact that some of these athletes can compete with athletes two or three years older is nothing out of the ordinary. A hot and sunny day in Florida isn't your ideal weather to expect fast times in distance races. But yet again Alyson Churchill continues to disprove all theories, as the freshman from Lincoln High School ran 4:58 in the girls 1600 meter and then came back later in the day to run a 2:20 in the 800. Churchill would agree that she is a distance runner and definitely enjoys the longer events more, but her Coach, Chris Sumner, wanted to get her some quality speed work. And to the amazement of probably a few, Churchill shined to win the 1600 and smash the meet record by fifteen seconds. She came back in the 800 and ran a very impressive 2:20 and beating the field by ten seconds. As always Churchill was humble and excited, and according to her "is taking the experience one meet at a time." 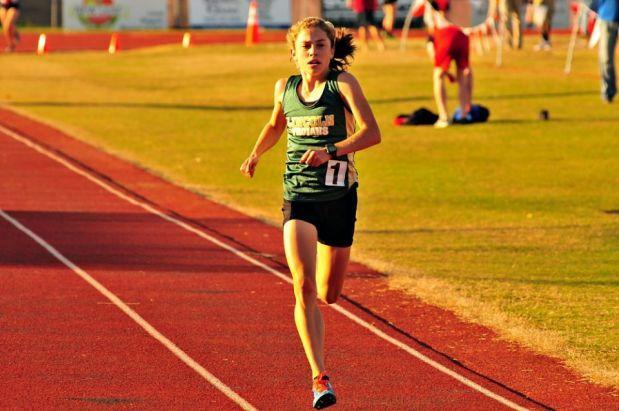 If you still aren't familiar with Alyson Churchill, you need to be, because she is the new face of distance running in the state of Florida. For a team that is often overshadowed by bigger schools in Tallahassee, the Lady Seminoles had a fantastic day as they nudged Lowndes (GA) by six points to win the girls championship. They were led by their freshman speed demon, Jacquell Lewis who won the 200 meter and broke the meet record as she ran a time of 25.48. Lewis before her 200 performance, won the 400 and was the only girl to go sub 60 seconds in a young, but talented field. Florida High's duo of throwers gave them a combined 36 points between the sophomore Antonia Thomas and freshman Jhordyn Stallworth. Thomas won the shot put and came in second in the discus, while Stallworth came in second in the shot put, and won the discus. This 2A girls team will definitely challenge in their district and region, and might even be a sleeper pick for the 2A State Championship. This year's Lincoln Trojan team has the opportunity and talent to attempt to take down the 3-time State Champions, Chiles High School, and their young talent could be a big part of that. The Trojans who are normally known for their sprints and jumpers, took home the gold in the boys 800 as Charles Hruda went sub two minutes and ran a time of 1:59.74 to win the race by six seconds. Lincoln's freshman hurdler Jalen Glaze scored 18 points by himself as he won the 110 hurdles and then came back to finish runner-up in the 300 hurdles. The Trojans also got some crucial points from freshman Chris Beard who won the long jump and finished fifth in the 100m to contribute a total of 14 points for his team. The Trojans ended up winning the team title and beating runner-up Lowndes (GA), by 15 points and capping off an impressive evening of tough competition. 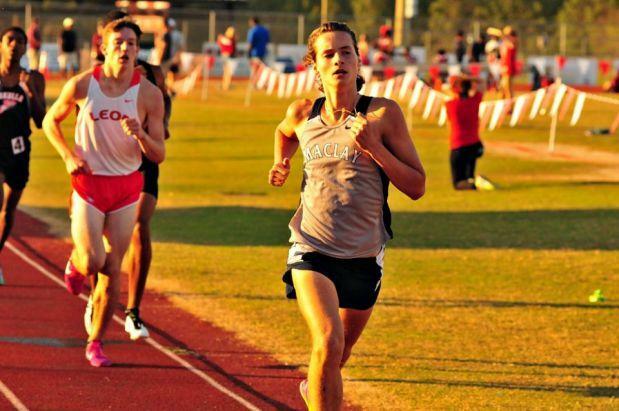 Maclay High School has historically been a great distance squad in 1A and this year their sophomore Clayburn Milford will be hoping to enshrine his name into the Maclay record books. Milford took the win in the boy's 1600 with a time of 4:40.09 as he was just a tick away from his personal best. Milford who sits in seventh place in 1A in the 1600 and in second place in 1A in the 3200 is off to an impressive start. 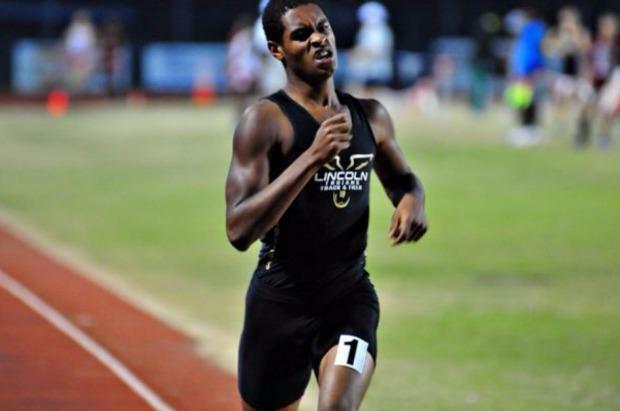 Milford believes that he has a shot at winning both the 1600 and 3200 at 1A state and will be looking for a great performance in a few weeks in the boys 3200 Invite at FSU Relays.